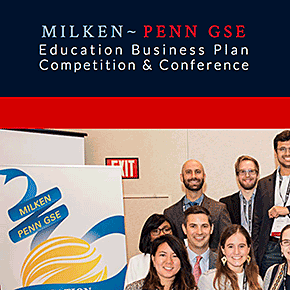 The Milken-Penn GSE Education Business Plan Competition (EBPC) is open to applicants worldwide and offers a tremendous opportunity to entrepreneurs and investors alike. With a rich history of success, the EBPC has awarded over $1,000,000 in cash prizes since 2010, and winners and finalists have gone on to raise more than $135 million in additional funding. Through its dynamic ecosystem, the EBPC celebrates meaningful innovations that address persistent and emerging problems in education.